We are six years away from the next best launch opportunity to Mars—and NASA wants to be ready. To that end, they are reformulating their Mars strategy, starting with a workshop this coming June to get the party started. 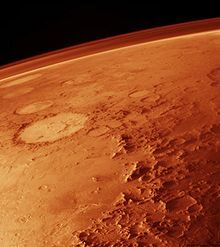 Titled, "Concepts and Approaches for Mars Exploration," the meeting will bring together a host of experts and groups, including scientists, engineers, graduate students and academics, NASA centers, federal labs, industry, and international partner organizations. The point of the workshop will be to provide an open forum for presentation, discussion, and consideration of any and all concepts, options, capabilities, and innovations that will advance Mars exploration. It's clear from the workshop description that NASA is hoping to inspire the innovation of some next-level capabilities. And it's also clear that the robotic exploration of Mars remains a high priority. And it's not just the 2018 window that's being considered. NASA wants to start planning for both short-term and longer-term projects. Much of the agenda will be driven by the President's challenge of sending humans to orbit Mars in the decade of the 2030s. They've broken down their timeframes to two periods: 2018 through 2024, and a mid- to longer-term timeframe spanning 2024 to the mid-2030s. NASA has opened these challenge areas to the wider public in an effort to out-source the work. The workshop will be held from June 12-14, 2012, at the Lunar and Planetary Institute, which is located in the Universities Space Research Association (USRA) building in Houston Texas.